I left the edge of Grand Canyon wanting to go back some day. In the 28 hours I spent there I got a taste for some great hiking that can be done there. Both the Bright Angel Trail and the Kaibab Trail lead down to the river which can be crossed by the Bright Angel Bridge. On the other side, the Phantom Ranch offers overnight accommodation and it is possible to hike on from there to the North Rim. What is called the Rim to Rim hike. 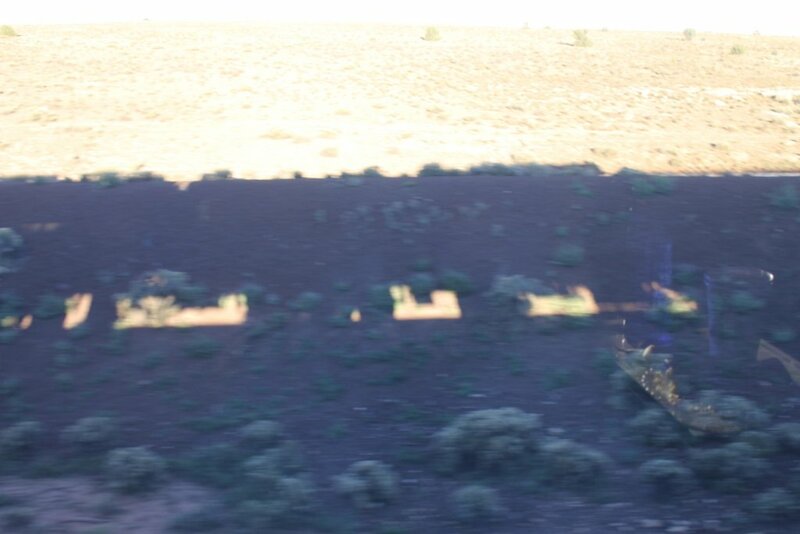 Anyone considering taking the Grand Canyon Railway to the South Rim should in my opinion make it a 28 hour visit – the sunset and sunrises were amazing and in four hours it is impossible to explore the National Park in any other way than the free shuttle buses. On my way back from the Grand Canyon I was able to see the San Francisco Peaks from my seat, the highest of which topped by snow. 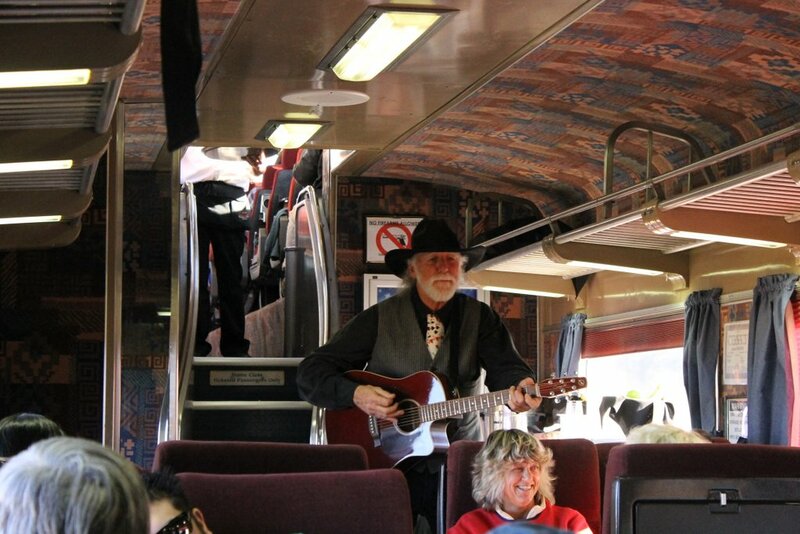 and part way back to Williams, the train was held up by the same cowboy outlaws who had given us a bit of a show a day earlier before we left Williams.